Why, all India-Australia tours are high-profile, intensely covered and minutely reported. Some have been ridden with tension and often accompanied by high drama. This one promises to be a little different: Steve Smith and David Warner, two fierce Aussie warriors, will have no role to play and India, for once, are being considered overwhelming favourites to win. But some things never change on any international tour. In the small cricket fraternity, the captain is an ambassador of his people back home. He is revered at home and often held in very high esteem away. Virat Kohli, India's feisty skipper, has often divided opinions with his words off the field and continues to remain a mercurial character in the world game. But no sooner had India's preparations for the Test series begun than Kohli divided opinions back home. Indian fans were enraged to see their captain walk to out to toss in his shorts — yes, the warm-up match did not have first-class status. Yes, the game was not being televised. Yes, it was just meant to be a just game which would allow Indian cricketers practice before the real business starts at the Adelaide Oval next week. But does that still make it okay for the captain of a national team to wear shorts to the middle? First off, there's nothing wrong with a player wearing shorts. Cricket, in fact, is one of the few games where players wear trousers. Tennis players, footballers, hockey players, basketball players, shuttlers, paddlers wear shorts — that is their gear and that's fine. 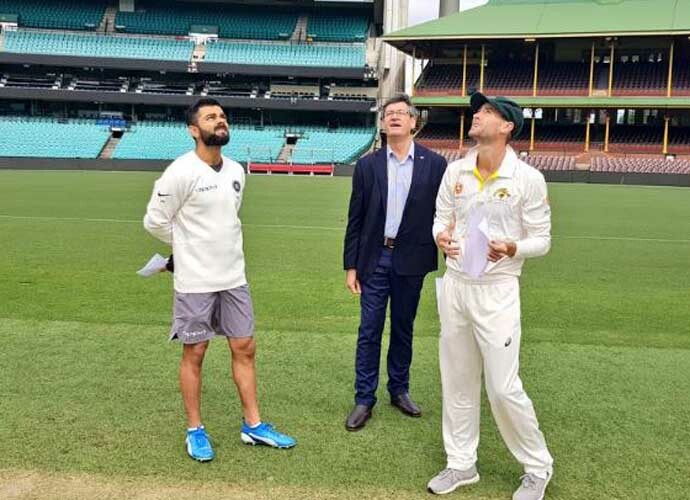 Sam Whiteman, captain of Cricket Australia XI and Kohli's opposite number in the warm-up game, stood at toss in full cricket gear. Whites and his cap. And there was Kohli, casually standing in shorts. He is my captain. He is India's captain. He is out there in Australia representing my country. And I do not want to see him walk out casually at game time, wearing anything but his full cricket gear. What he wears outside the field is nobody's business. Fans back home were understandably irked. But there were others I spoke to who felt it was no big deal. So what if Virat Kohli decided to walk away from convention and acted a little casual? It was just a practice game. But that still does not take away from the fact that it was a team of Indians who had taken the field at an international venue. The Sydney Cricket Ground has its own history, its own charm. Maybe they were okay with Kohli's attire. Maybe, they are too polite to point out to the visiting captain that a pair of shorts was hardly the choice of clothing for something as formal as a toss. Think about it. When Andrew Flintoff took his jersey off at the Wankhede Stadium, one of the most iconic cricket grounds in India. We were incensed. Sourav Ganguly even had his revenge — the famous shirt-waiving at Lord's, remember? Cricket is a lot about values and discipline. Despite the T20 razzmatazz and a new baby called T10, the game is still steeped in tradition. Wasn't that why Sunil Gavaskar was not impressed (and rightly so) when Fakhar Zaman wore the Pakistan cap backward in an international game? Make no mistake, Kohli loves tradition. He is a self-confessed cricket romantic and worships Test cricket — that is where he wants to excel. But maybe, he would take a moment from his packed schedule to realise where he went wrong.